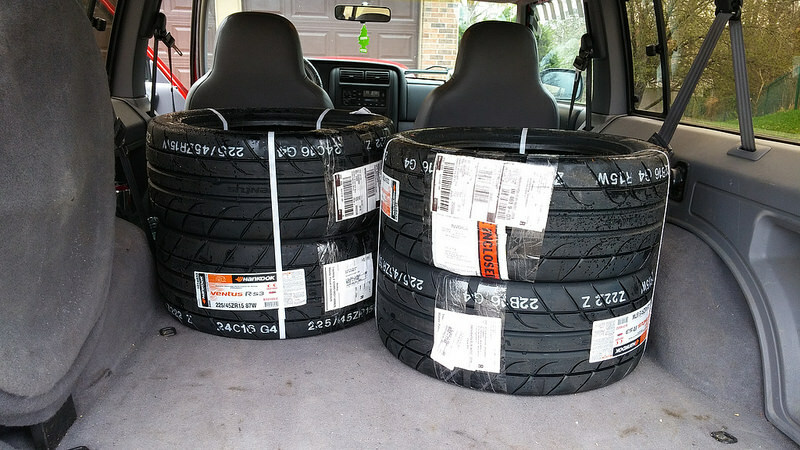 3/5/15 - 225/45-15 RS3 listed on Tirerack - Miata Turbo Forum - Boost cars, acquire cats. Just a heads up that Tire Rack is listing RS3s for sale. They expect them to arrive at TR in late March, I think the guy said the 25th. Marcus (Flier129) posted on FB about them becoming available yesterday so I ordered mine last night, can't wait to get back on some R-S3 goodness! The new Rival S is up now also in 225/45R15. Anybody know the changes from the old Rival? RS3 is still cheaper though so that's probably what I'm getting. 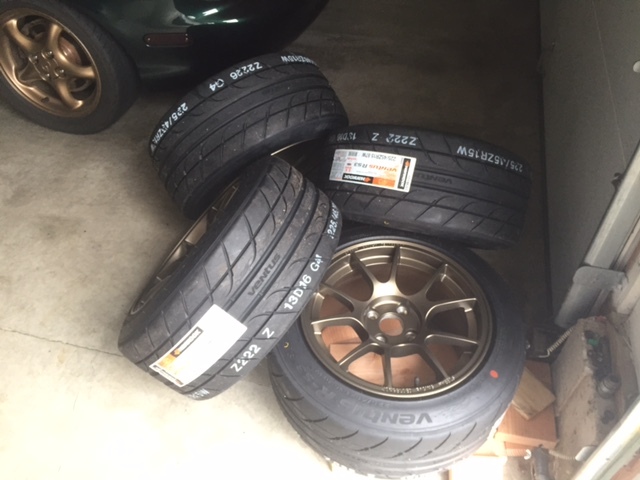 New compound for the Rival S, they had to change it because the tire performed badly at SCCA Nationals which is held at Lincoln and is a an odd surface which is concrete covered with rubber from Hoosiers and other tires. The R1R and RS3 did much better there. And BFG sponsors SCCA so they rented the site after nationals and did some testing on the same course the next day. Don't know if there were any other changes we'll find out soon enough. I'm sticking with RS3s for now. Ran these for 7 hours at TWS last weekend, wet and dry. Impressed with the tire. Grips on the first turn. Quiet with a really different tone than Rivals or RC1s. The grip shelf was easy to drive -- pointable and they never let go on me. Stood up well to the 7 hours of abuse. Well thanks. Now i know exactly what my setup will look like. Yep, i replied to your post. I'll try to measure and see how accurate it is this weekend before i mount the tires. Heads up for anyone in Socal - i got mine (haven't mounted em yet) from raceline usa for $120 a pop. 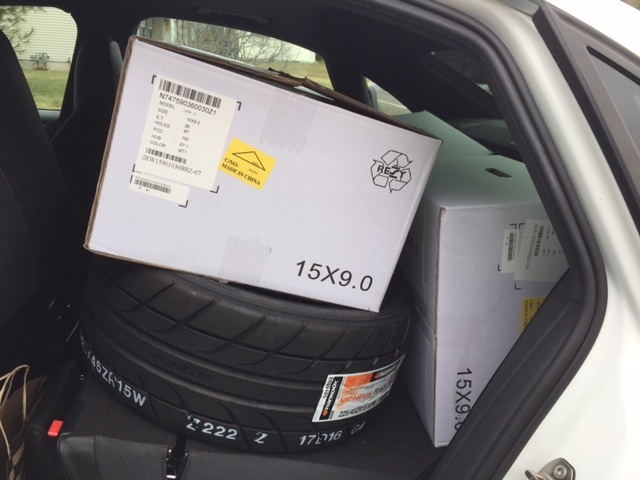 Beats Tirerack (same price, just less the shipping). 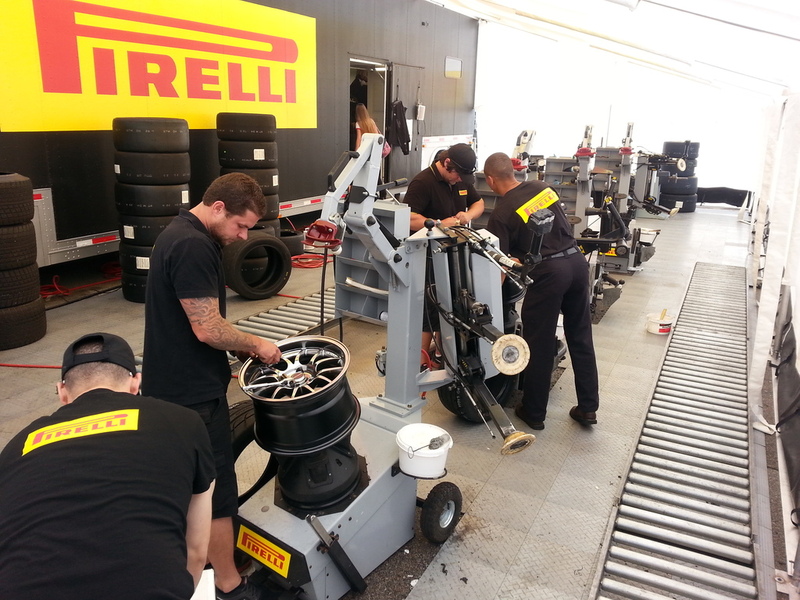 it's not everyday that the PWC Pirelli guys wrap your new 6ULs with RS3s - for $80 too. Yeah I'll be swiping that pic.